Posted on August 2, 2012 by Tom | Comments Off on A Cure for HIV/AIDS Has Got a Step Closer! HIV is an exceptional adversary. It is more diverse than any other virus, and it attacks the very immune cells that are meant to destroy it. If that wasn’t bad enough, it also has a stealth mode. The virus can smuggle its genes into those of long-lived white blood cells, and lie dormant for years. This “latent” form doesn’t cause disease, but it’s also invisible to the immune system and to anti-HIV drugs. When the virus awakens, it can trigger new bouts of infection – a risk that forces HIV patients to stay on treatments for life. It’s clear that if we’re going to cure HIV for good, we need some way of rousing these dormant viruses from their rest and eliminating them. Now, a cure for HIV/AIDS has got a step closer after scientists found that a common cancer drug can purge the disease as it lies dormant in the body. Current treatments are effective at reducing levels of the disease in the bloodstream – but a drug that can ‘knock out’ the disease when it lies dormant is thought to be key to a cure. A team of US scientists led by David Margolis has found that vorinostat – a drug used to treat lymphoma – can do exactly that. It shocks HIV out of hiding. While other chemicals have disrupted dormant HIV within cells in a dish, this is the first time that any substance has done the same thing in actual people. At this stage, Margolis’s study just proves the concept – it shows that disrupting HIV’s dormancy is possible, but not what happens afterwards. The idea is that the awakened viruses would either kill the cell, or alert the immune system to do the job. Drugs could then stop the fresh viruses from infecting healthy cells. If all the hidden viruses could be activated, it should be possible to completely drain the reservoir. For now, that’s still a very big if, but Margolis’s study is a step in the right direction. 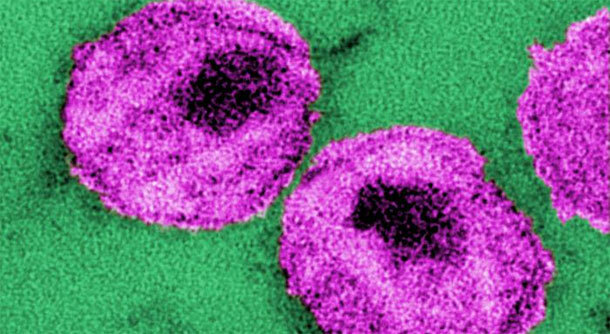 HIV enters its dormant state by convincing our cells to hide its genes. It recruits an enzyme called histone deacetylase (HDAC), which ensures that its genes are tightly wrapped and cannot be activated. Vorinostat, however, is an HDAC inhibitor – it stops the enzyme from doing its job, and opens up the genes that it hides. It had already proven its worth against HIV in the lab. Back in 2009, three groups of scientists(including Margolis’ team) showed that vorinostat could shock HIV out of cultured cells, producing detectable levels of viruses when they weren’t any before. To see if the drug could do the same for patients, the team extracted white blood cells from 16 people with HIV, purified the “resting CD4 T-cells” that the virus hides in, and exposed them to vorinostat. Eleven of the patients showed higher levels of HIV RNA (the DNA-like molecule that encodes HIV’s genes) – a sign that the virus had woken up. Eight of these patients agreed to take part in the next phase. Margolis gave them a low 200 milligram dose of vorinostat to check that they could tolerate it, followed by a higher 400 milligram dose a few weeks later. Within just six hours, he found that the level of viral RNA in their T-cells had gone up by almost 5 times. These results are enough to raise a smile, if not an outright cheer. We still don’t know how extensively vorinostat can smoke HIV out of hiding, or what happens to the infected cells once this happens. At the doses used in the study, the amount of RNA might have gone up, but the number of actual viral particles in the patients’ blood did not. It’s unlikely that the drug made much of a dent on the reservoir of hidden viruses, so what dose should we use, and over what time? Vorinostat’s actions were also very varied. It did nothing for 5 of the original 16 patients. 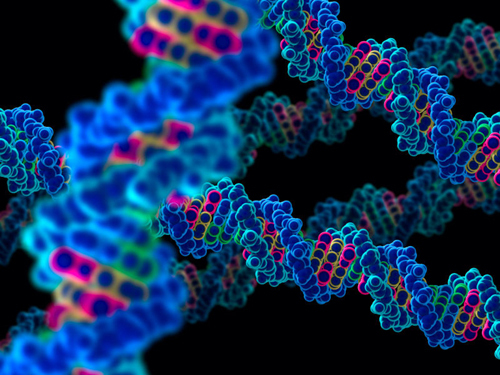 For the 8 who actually got the drug, some produced 10 times as much viral RNA, while others had just 1.5 times more. And as you might expect, vorinostat comes with a host of side effects, and there are concerns that it could damage DNA. This study could be a jumping point for creating safer versions of the drug that are specifically designed to awaken latent HIV, but even then, you would still be trying to use potentially toxic drugs to cure a long-term disease that isn’t currently showing its face. The ethics of doing that aren’t clear. Steven Deeks, a HIV researcher from the University of California San Francisco, talks about these problems and more in an editorial that accompanies the new paper. But he also says that the importance of the study “cannot be over­stated, as it provides a rationale for an entirely new approach to the management of HIV infection”. Progress is being made every day, don’t believe us? – Check out the related articles below! Comments Off on A Cure for HIV/AIDS Has Got a Step Closer!